One certainly can't say that trams, or eléctricos in Portuguese, are a comfortable means of transportation; quite the contrary in fact, and this is particularly the case if one hops on a tram and can't grab a seat, having instead to enjoy the ride grabbing on to something during the ride. 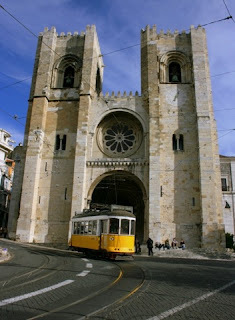 If you've ever been on one of the old eléctricos in Lisbon, you'll know that they are neither fast, agile nor flexible. If you're in a hurry, take my word: unless you have no other alternative, don't take one. 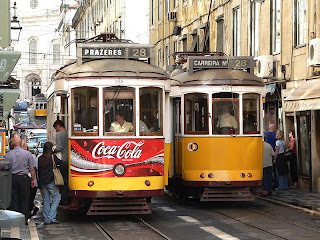 On the other hand, the old eléctricos of Lisbon are unique and full of charm; true symbols of gone by days. They are representatives of a city that have managed to stay unique and equal to itself in a world that all too frequently has been taught to discard, ignore and devalue what is old. If only there were more examples like the eléctrico, mind you not everything old is viewed with such romanticism. 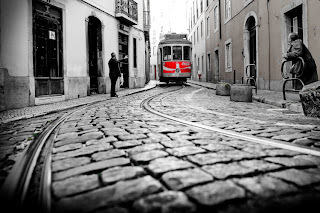 In Lisbon there are still five old tram lines that have stood the test of time (the 12, 15, 18, 25 and the 28). 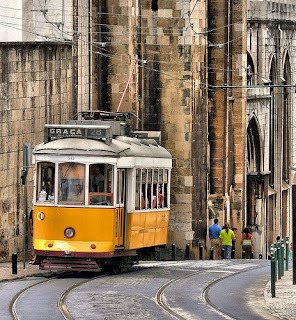 Classic tourist trams also travel certain lines showing visitors and locals alike the beauty the city possesses. 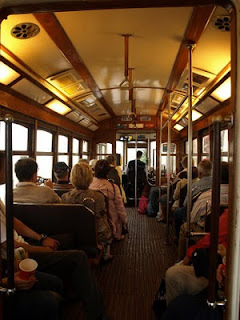 Now when we get into one of these old trams, it's a lot like going back in time. The fact is the first eléctricos actually began circulating in 1901 and were pulled by horses. These can now only be seen at the Carris Museum in Alcântara. The ones we see on the rails around the city today are from the 1960s and they look like it too - wood and metal and plastic free. 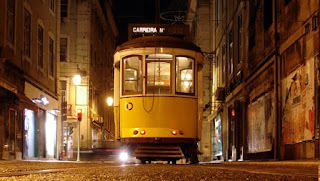 So even with all the innovation, modernity and ribbon cutting in certain parts of the city, the eléctricos of Lisbon have stood the test of time. They're very much a part of the visual landscape of the city. Poetically speaking, if I may, it's like they're the blood running through the veins of the city ... or maybe that's the subway? Not too good at waxing poetics.